Don’t give up on your new years resolutions of eating healthy just yet. We have definitely set the bar for having the best matcha-infused drink ever with our new Coconut Matcha Latte! For many of us, a strongly brewed cup of coffee is the water of life, but there’s more than just beans that can give us that jolt of energy. The Coconut Matcha latte will make you feel refreshed and is made with premium organic matcha that is lightly sweetened with hints of coconut, served with steamed milk and garnished with real coconut shavings. Fun fact: One cup of the Coconut Matcha Latte is nutritionally equivalent to 10 cups of regularly brewed green tea. Matcha is one of the most concentrated source of antioxidants because you are ingesting the whole green tea leaf. Blenz’ matcha contains no fillers, additives or lower grade teas, only genuine premium matcha. Therefore, making our matcha drinks so delicious! The Coconut Matcha Lattes are on the menu for a limited time only so try one today! Unless you’re offering a free one to try and promote why do you send these emails? We do keep our Blenz Customers in the loop of our new promotions every season but we do also send drink coupons as well from time to time. Thank you for your concern. Does the matcha powder or sweetener have any dairy in it? Both the matcha powder and the sweetener do not contain any dairy. However, the drink is made with 2% milk, so please order it any of our dairy-free options. Thank you for asking! The ‘Friends Of Blenz’ email newsletter webpage is directed once you sign in to our wifi at any of our stores and you may have signed up then. The email you received was an email we sent to our ‘Friends of Blenz’ newsletter members to announce our new promotional drink. In each email there is a unsubscribe option if you feel you wish to unsubscribe. Our email newsletters also email out promotional coupons from time to time. Can I see the nutritional information on the Coconut Matcha Latte with coconut milk, please? The regular sized Coconut Matcha Latte made with Coconut Milk has 190 calories. Thanks for asking! Is there sugar added to this matcha? Yes we do add a coconut sweetener into the drink. Thanks for asking! I can’t find the nutritional information for this drink. The new Coconut Matcha Latte is made with 2% milk and has 230 calories. Is it made with coconut milk or 2% and some coconut syrup??? It is made with 2% milk with added coconut sweetener. Thanks for asking! One of my favorite drink is ICED Coconut Matcha Latte with coconut milk, one of the best coconut milk I’ve found compare to other coffee shop. Can you tell us which coconut milk does Blenz use? Our Coconut Milk is from Pacific food the Barista Edition, thanks for asking. I love coconut and want to try your new drink. Bought one to office. But the one I got was no such coconut favor. Very disappointed. Hi, is their caffeine in the coconut matcha latte? Yes, our matcha contains caffeine. Thanks for asking! Hello….Can I buy you coffee beans ? Love you coffee! Where do you get your brand from? Is your coconut milk sweet ou unsweet? Is it possible to ask for a matcha latte with coconut milk and no sweetener? The coconut milk that we currently carry is not sweetened. You can definitely order our Matcha latte with coconut milk with no sweetener, as our matcha latte’s do not come with sweetener unless asked to add. 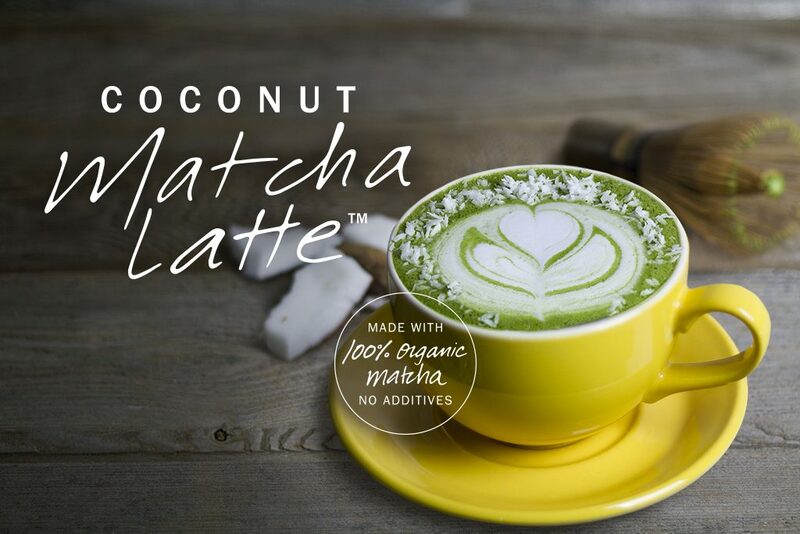 Just keep in mind that the new Coconut Matcha Latte is made with 2% and has a added coconut flavouring sweetner inside, so if you just want a regular Matcha Latte with Coconut Milk you will need to ask for it like so (Matcha latte with coconut milk). Sorry if it may be confusing, but we hope you enjoy your next drink at Blenz!! The Coconut Matcha Latte is made with 2% Milk and we do suggest to try the drink with coconut milk. We know it can be confusing, thank you for reaching out to clarify. is the Matcha powder sweetened? if so, with what? What is the nutritional info for the new lattes?